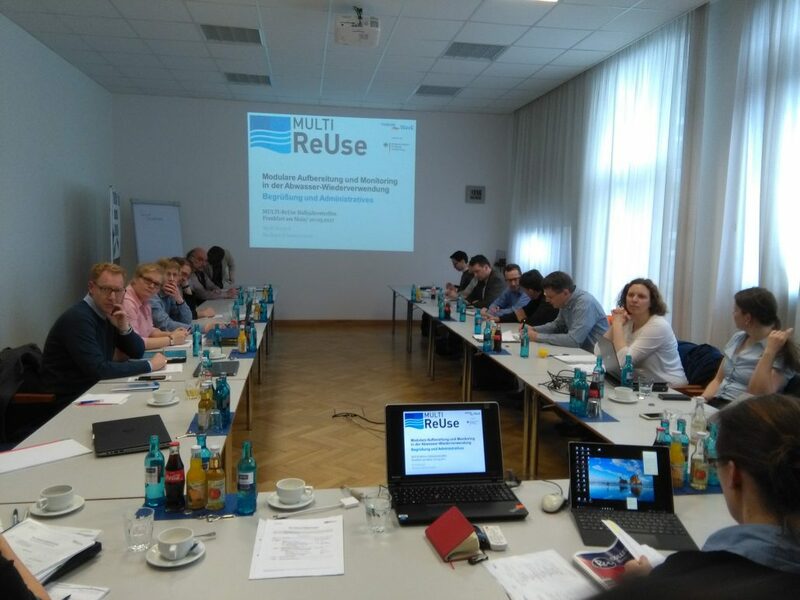 About 20 MULTI-ReUse members met in Frankfurt in March to discuss the present situation of the project, to clarify open questions and to talk about further actions. Especially the work packages 1 and 2 already were able to present first results. On the first day, the required qualities of the different service waters that are going to be produced and their target markets were discussed. 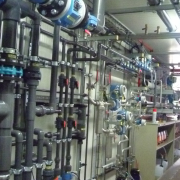 Furthermore, the results and the current state of the pilot plant were presented. 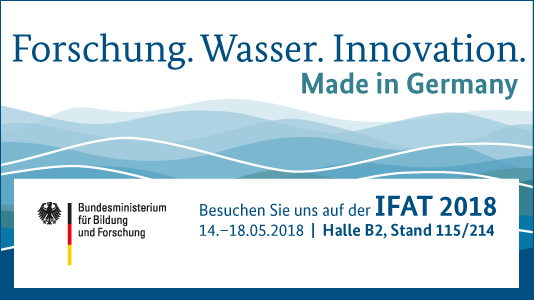 Last, but not least, the scientific accompanying initiative “WavE” (http://www.bmbf-wave.de) was introduced to see if there are interdisciplinary topics with other research projects that could be of interest to MULTI-ReUse. WavE aims to connect research projects in order to create synergy effects. 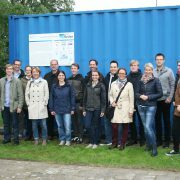 On the second day mainly the monitoring procedures for the quality control of the service waters were presented and discussed, before the MULTI-ReUse members talked about knowledge transfer and exploitation strategies. At the evening of the first day a conference dinner took place, where mainly specialties from Frankfurt were offered. The next project meeting is planned for autumn 2017.